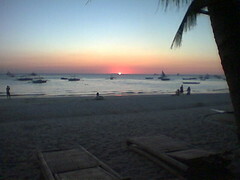 Good thing I was able to catch the Boracay sunset. The sun was setting quite fast. 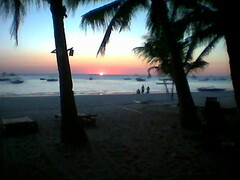 ganda pic ng sunset, are you the one who took that picture? galing. Hello Ka Uro, Hanagirl, Mari, G, Hanynany. Pasensya na I wasnt able to acknowledge your comments. Busy lang lately. Pasukan na kasi. Thanks for dropping by.